Secondly, we create home_page.dart. This will eventually display 3 views: crossword, clues, and keyboard. But for now, it just displays a message. 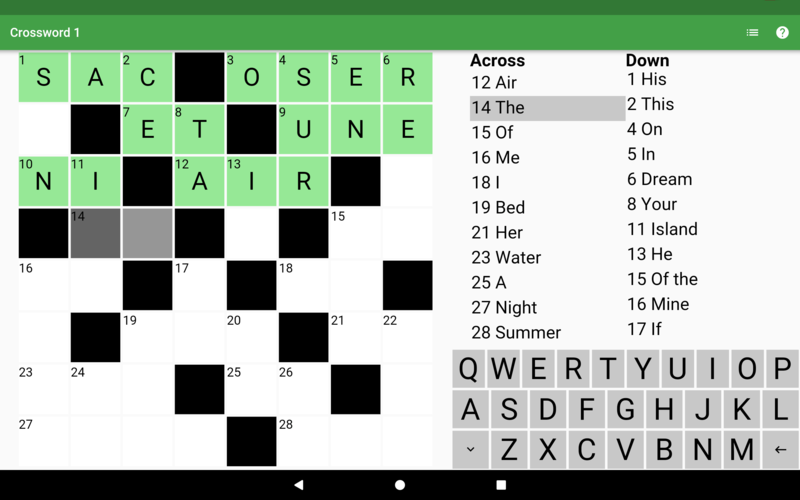 Each logical view of the screen, ie crossword, clues, and keyboard, is set up in its own Widget. For simplicity, they are all stateless. 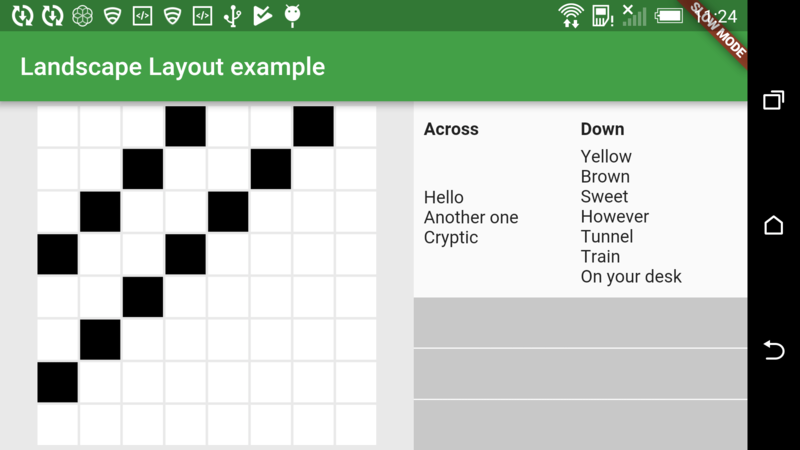 Firstly, we create crossword_view.dart. In this simplified version, it is a grid with 8 rows and 8 columns, with cells showing as a black or white square. // in a crossword, but this is beyond the scope of this tutorial. Secondly, we create clues_view.dart. This contains 2 lists of different length, side by side, with equal width. Above each list, there is a non scrollable label that says either ‘Across’ or ‘Down’. It fits the available width and height. Thirdly, we create keyboard_view.dart. This contains 3 rows of fixed and equal height. It fills the available width. Finally, we combine the views together, for portrait mode. 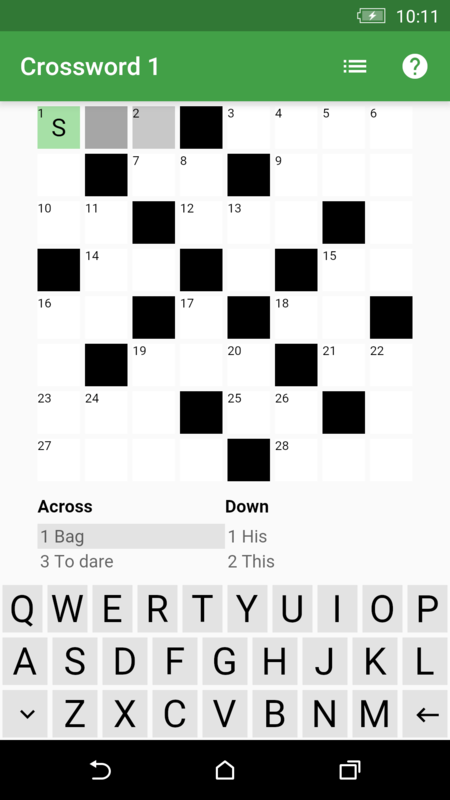 Crossword view has a defined height because shrinkWrap is set to true; keyboard view has a fixed height; clues view fits the rest of the height. Let’s amend home_page.dart. // This is a shortcut to specify data. // In practice, you should load this from a data repository. For a reminder on how to use Row and Column, check out Flutter UI code tutorial: mastering Row and Column. In Flutter, all UI code is done in Dart, in the build method. So we amend the _buildBody() method in home_page.dart to check the device orientation. Now, we can combine the views together for landscape mode. BUT… it isn’t quite finished yet! 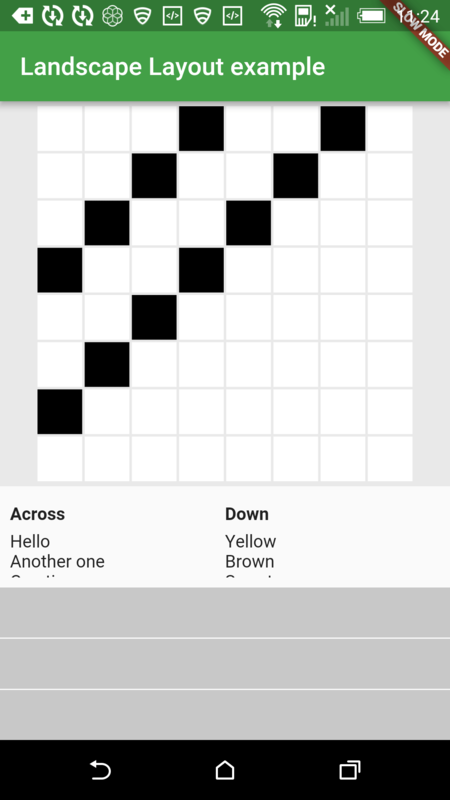 The GridView used in crossword view is scrollable, and therefore fills in the available space. The property shrinkWrap forces it to constraint to its content the dimension in the direction of its scrollable axis. Put simply, if it is scrollable vertically (the default), it will set its height to fit the content, which works great in portrait mode. But in landscape mode, the dimension we need to constraint is the width; if we don’t, the Row widget will throw an error. So we need to check for the orientation in crossword_view.dart. This tutorial shows how to detect the orientation. Flutter Rocks has an excellent tutorial showing how to bring screen size qualifiers to Flutter, in Implementing adaptive master-detail layouts in Flutter.